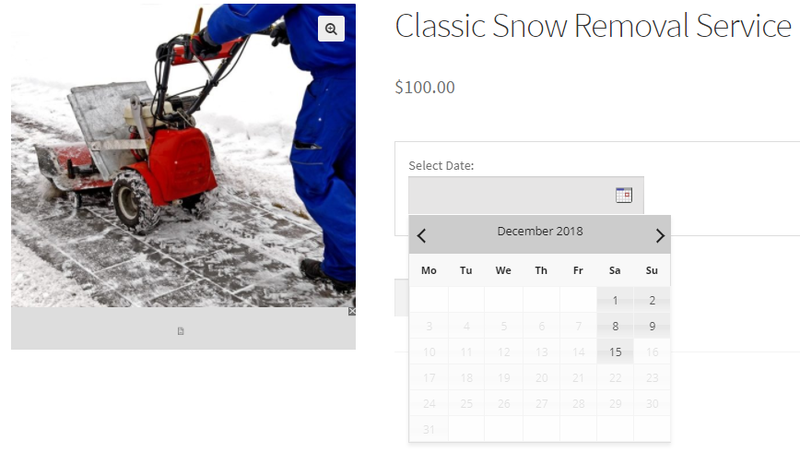 Seasonal businesses like Lawn Care, Halloween Retailers, Snow Removal, etc., provide services only in a certain period throughout the year. 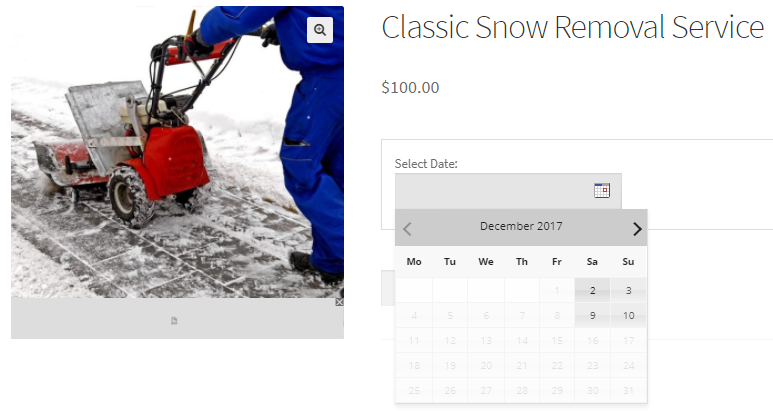 For example, snow removal offers their service only in winter season which is probably between November to January month. 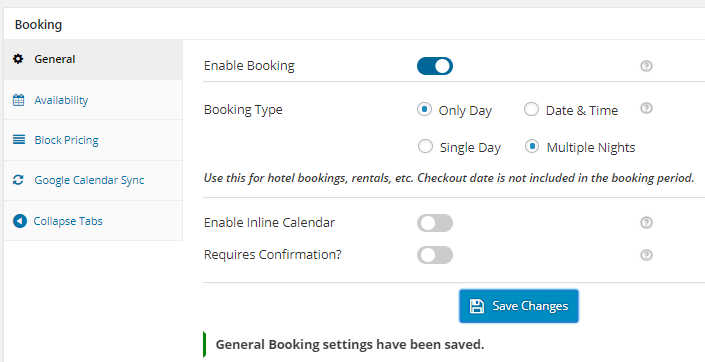 We have Range type option in our Booking & Appointment Plugin for WooCommerce to setup bookings for such seasonal business services. In this post, we will see how to setup services which are available to book only for a specific date/month range with Booking & Appointment Plugin for WooCommerce. Here Saturday and Sunday are enabled which means from the selected date range, all Saturday and Sundays will be available for booking. Also note the Max Bookings for these 2 days are set to 5, this means maximum of 5 bookings can be taken for each Saturday and Sunday. Here as you can see, we have added a Custom Range of 1st December, 2017 to 15th December, 2017 and 1st February, 2018 to 15th February, 2018. Also you have the provision to add the No. of years for which these dates will recur and that is added in the Max Bookings column which is set to 2 as shown in the above screenshot. You can also add the No. of years in the Max Bookings column as set for the Custom Range which implies the same date period would recur for next 2 years. Click on Save Changes button and you have set the product to take in bookings from 1st December, 2017 to 15th December, 2017 and 1st February, 2018 to 15th February, 2018, and also entire month of January. The No. of years settings would be effective for 2 years as added in Max Bookings column. After completing all the above mentioned steps, the Snow Removal Services is now available and the customers can book your services for the number of days as per their requirement within the date range set by you. This is how your Snow Removal Services will look when the customer visits your site to book your services. You can see in the below images that the Select Date shows bookable dates as 2nd, 3rd, 9th and 10th December, 2017 & 3rd, 4th, 10th and 11th February, 2018. This is because we have selected bookable days as only Saturdays and Sundays between 1st December to 15th December, 2017 and 1st February to 15th February, 2018. Thus the customers can book your service only between the added date/month range and as per year to recur in the booking settings. Now select the date for booking the service and you can see Add to Cart button will be enabled. 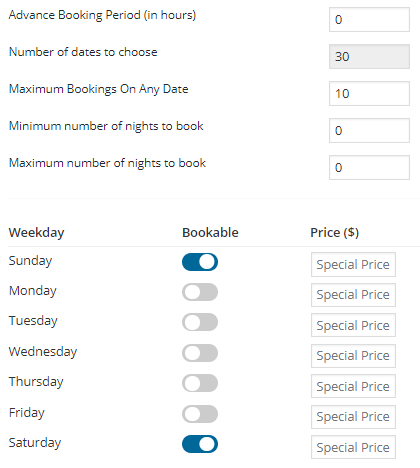 You will also notice the Booking price displayed for the selected booking period as shown below. 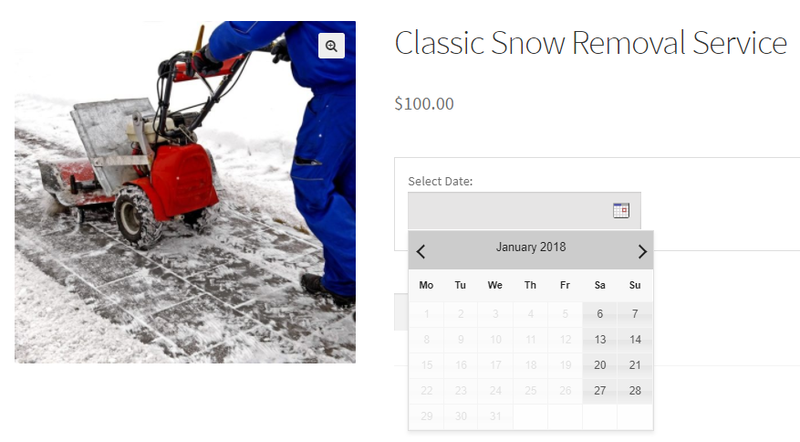 In this post, we have seen how one can setup bookings of seasonal business services like snow removal service etc using Range Type option for Range of Dates or Range of Months option available in our plugin. 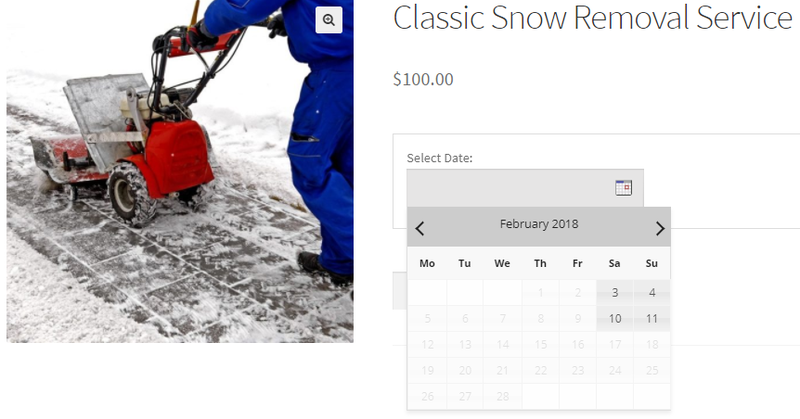 Similarly, there are many other businesses who provides services between a fixed date range so this option will help for setting up bookings of service with much ease. 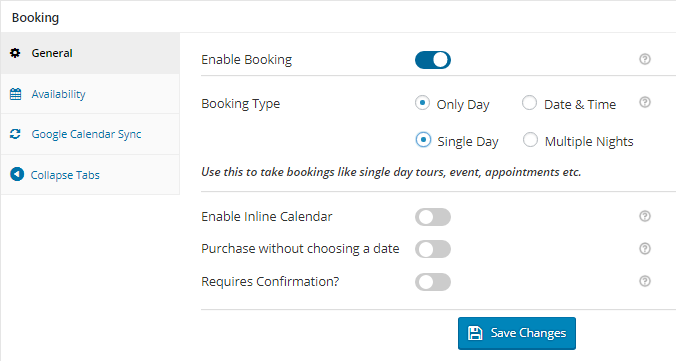 Book all year round booking type of our Booking & Appointment Plugin for WooCommerce will be explained in another post. 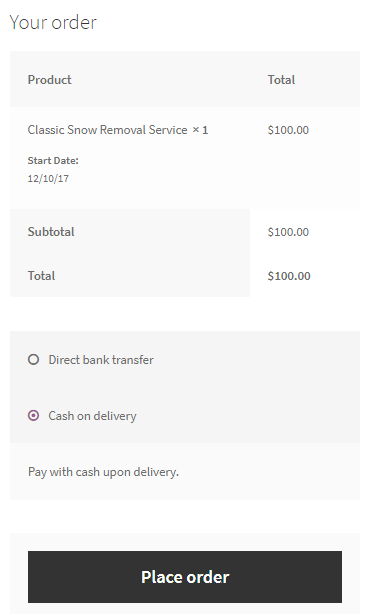 The taken example in this post was for WooCommerce Simple product, so to setup the services with Range Type booking option, will take around 15 minutes to complete. 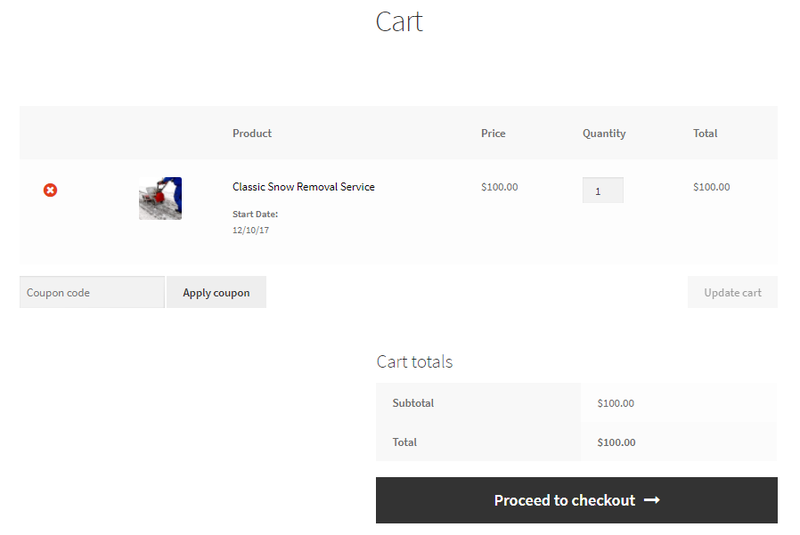 You can also use this setup for WooCommerce Variable product as per your requirements.